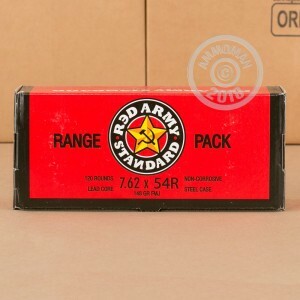 This 7.62x54R ammo is sourced from several different Eastern European ammunition manufacturers. 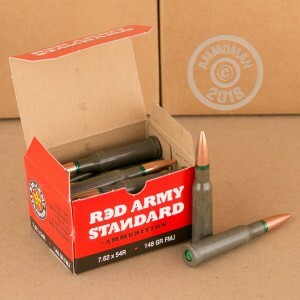 Each cartridge in this box of 20 fires a 148 grain bimetal jacketed bullet. RAS ammunition is imported by Century International Arms in various calibers used by Eastern Bloc firearms such as the Mosin-Nagant. 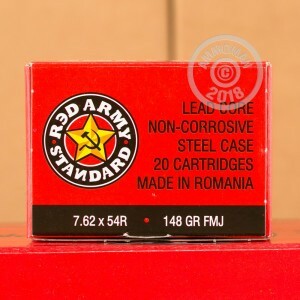 Unlike real "Red Army Standard" ammo, it uses non-corrosive Berdan primers that won't force you to scrub your gun clean after every range trip. They also use economical steel casings that keep costs down. Place an order for $99 or more to get free shipping from AmmoMan.com! I will purchase more from Ammoman in the future! !